Best in Show Award! - 12/08/18. I want to thank Judge Gregory Graham Grant for these wonderful comments about my painting 'Ole' - Wave Dancing'. 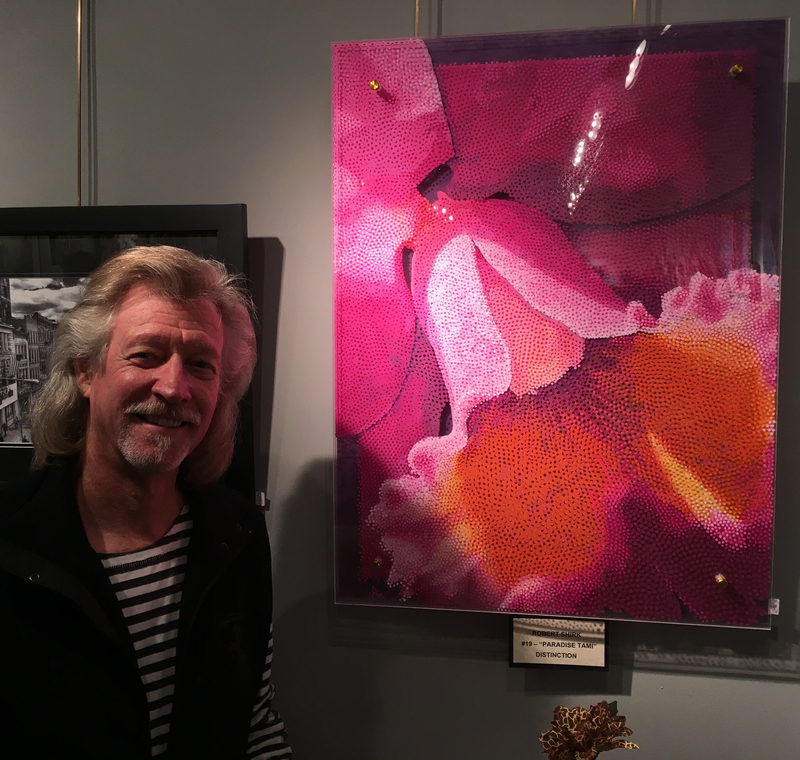 The painting won 'Best in Snow' at the Flagler County Art League's 'Winter Show 2018'. I'm very honored to have this impressive artist and instructor give my painting such a glowing critique. Judge Gregory Graham Grant comments: "The single most important criterion for judging artwork is in assessing the overall dynamic of visual impact paired with intellectual and/or emotional engagement. This piece is a splendid example of how these factors join to elicit a powerful response for anyone who takes the time to look. One cannot help but closely investigate the construction of this innovative piece and admire the layers of paint on multiple sheets of plexiglass. This reminiscent of the color separation process in the printing industry. The effect is a mesmerizing, 3D experience when all the layers are combined. A brilliant conception, this technical wonder is completed with the artist's gift for story telling, imaginative composition and obvious technical rendering prowess. Congratulations to the artist for this stunning work." The Goddess of Youth - Hebe - 11/23/18. Acrylic on 8 pieces of 18" x 24" plexiglass. Total size: 37"x25"
Florida Artists Group - 10/20/18. I am extremely honored to have been accepted into the prestiges state-wide 'Florida Artists Group'. I want to give special thanks to Lillian Verkins for her tender and skilled mentorship and for pushing me to apply for membership in FLAG. The Florida Artists Group (FLAG), was founded in 1949 and is made up of professional artists whose work has attained national or state-wide recognition. 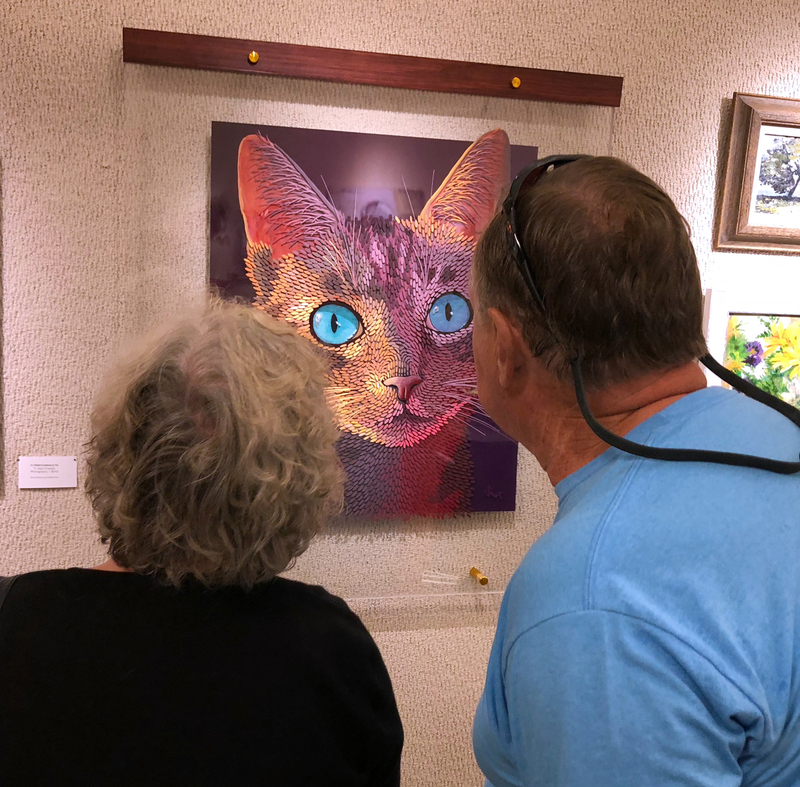 Flagler County Art Guild Juried Exhibit "Fall Show 2018". Had a great time visiting with lots of wonderful artists tonight. My painting 'Paradise Tami' won an 'Award of Distinction' at the Flagler Art Guild 'Fall Show'. The Art League of Daytona Beach Juried "Members Show". My painting 'Ole' - Wave Dancing' received a "Merit" award at the Art League of Daytona. 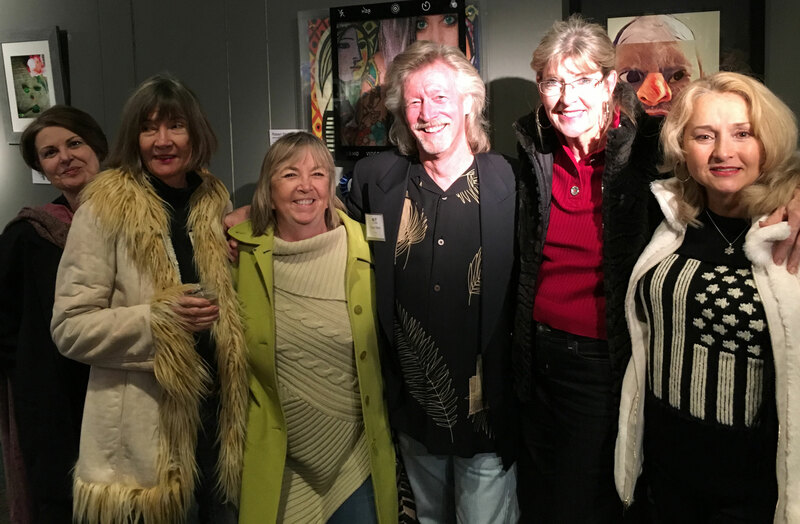 Thanks to Carson Kapp & Nancy Hagood for hanging the show, and also to the exhibition judge Diane Schmidt for her wonderful eye and insight LOL. 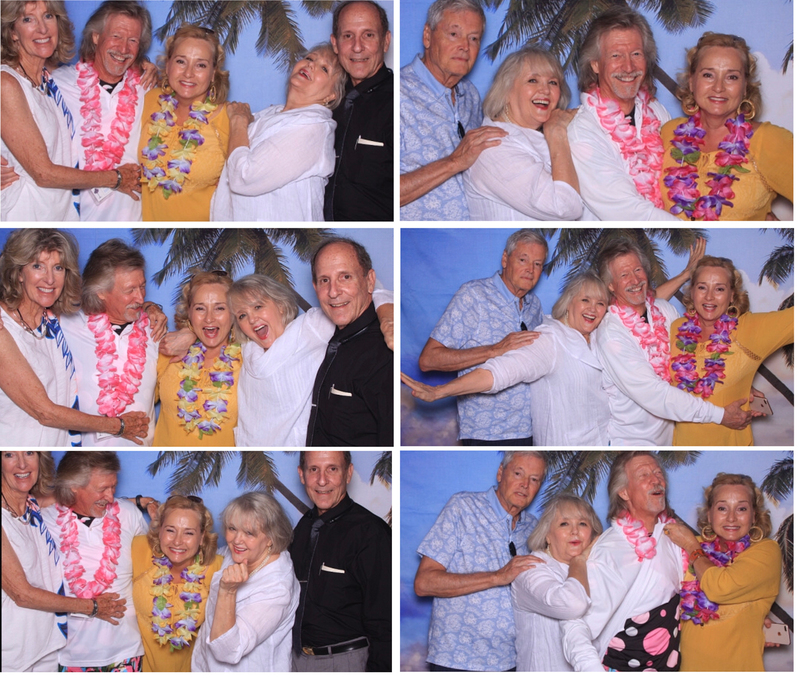 It's always fun at the Art League of Daytona Beach. Even more so now that two of my Orlando friends have joined the Art League of Daytona Beach. Vickie Wilson and Wilson Romero are two extremely talented Orlando artists. Saint Augustine Artist Association - 09/07/18. My painting 'Sparkle' getting some love. Date night in Saint Augustine with the Lovely Loleita. Dinner at Harry's Seafood Bar & Grille. Then off to the Saint Augustine Artist Association for the Fall Members Show. Congratulations go to Xi Guo for winning The Jean Wagner Troemel Award for her stunning watercolor 'Tangle #12'. Congratulations as well to the other award winners. My painting 'Sparkle' won an award too! ;-) You can learn the story of this painting and see a short 1 min video here. The Gallery at Mills Park - 08/09/18. The pink lady found a new home. 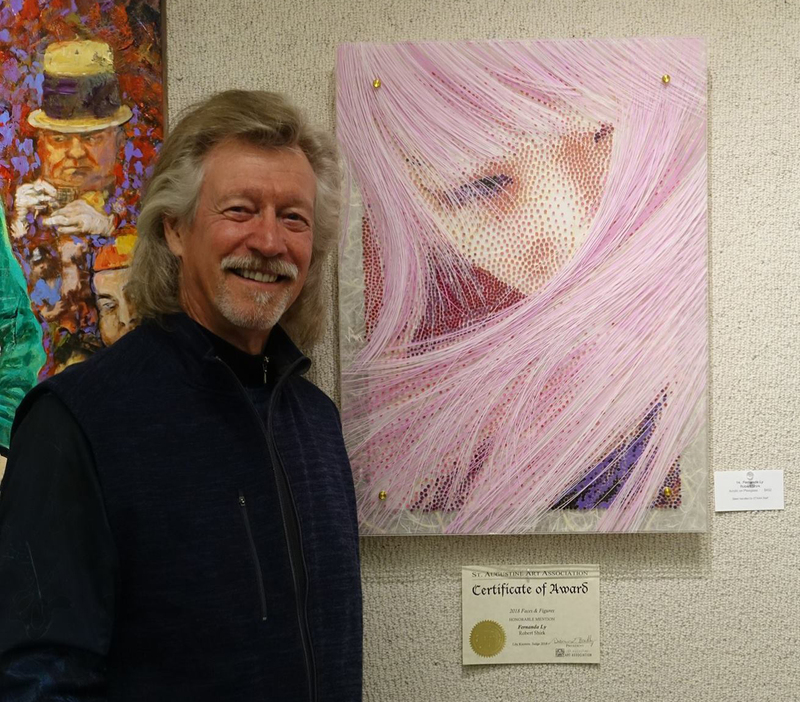 My painting 'Fernanda Ly' got a warm welcome at the Mills Gallery 'Summer Exhibit'. By the end of the night she was sold to a good home. I'll miss her, but I know she's loved. Ticketed for driving to fast in the fun lane. 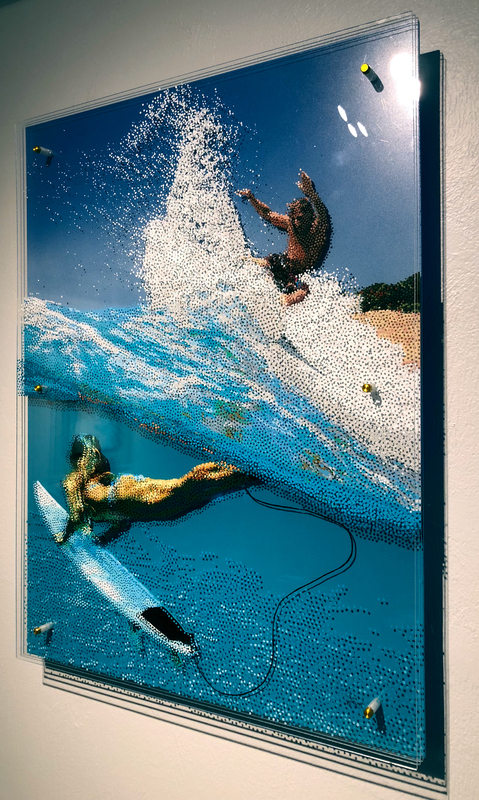 From now on when I hear "Art" and "Party" in the same sentence I'm going to think of the '2018 Endless Summer' juried group exhibition at Arts on Douglas. What a blast it was. Surrounded by so many artists and friends, and even a little 'Endless Summer' cosplay thrown in. My painting 'Ole - Wave Dancing' was in great company. 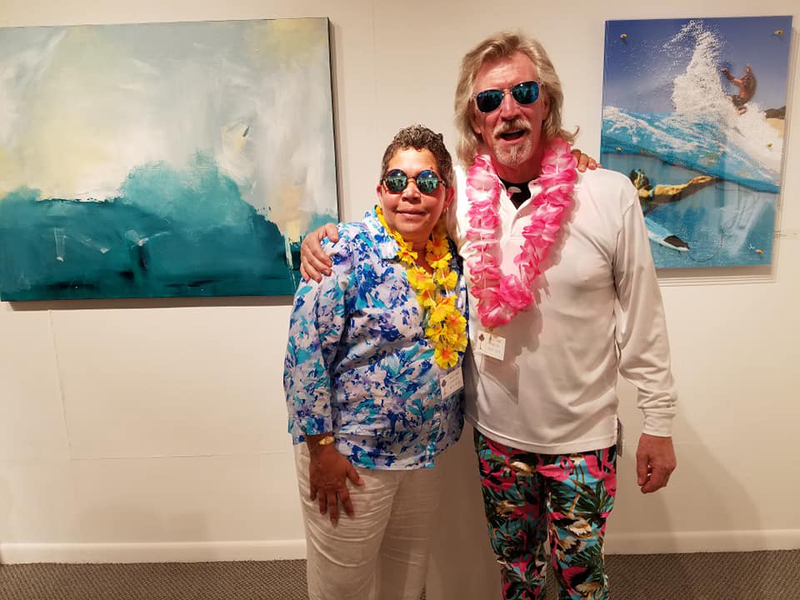 Sunglasses Twins in front of our paintings, Raysa Molina and me. Thanks for the photo Lillian Verkins. Lillian Verkins always cracks me up. And we were just getting started! Thanks for the picture Raysa Molina. Orlando Museum of Art - 07/05/18. Party time with my Orlando artist friends. This wonderful photo by Dan Compton has Vickie Wilson's beautiful paintings as the backdrop. I'm with Denise Fix, Caroline Clark, Vickie Wilson, and Lisa Serendipity. Logging in some serious travel time. Looks like my new painting Ole'-Wave Dancing is going to log in some serious travel time. Just picked it up from the Saint Augustine Artists Asso "2018 Honors Show". 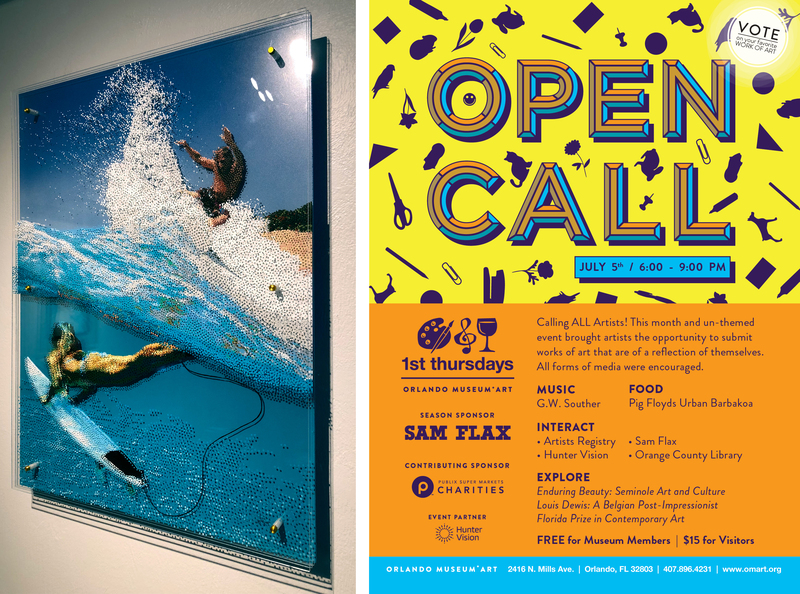 Next it's going to travel to Orlando for the 1st Thursdays 'Open Call' @ the Orlando Museum of Art this Thursday July 5th. It will be hanging out there with 129 other pieces of art by some of the best artists in central Florida. Then it's on the road again to New Smyrna for the Arts on Douglas "2018 Endless Summer" Exhibition on August 4th. This painting is getting a workout! This painting brings me back to a fabulous time in my youth. Tanned teenagers, looking for waves, girls, and good times. ArtExpo New York 2018 - 04/21/18 - 04/22/18. 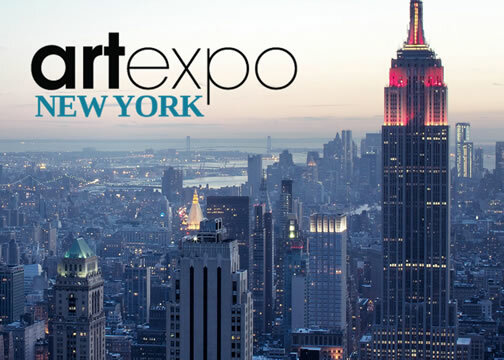 I'm delighted to be exhibiting two of my paintings in the ArtBlend/Mint Art Haus booth during ArtExpo New York. Beaux Arts Of Florida - 04/13/18. I'm honored to have been excepted into Beaux Arts Of Central Florida. This is an exclusive group of 50 exhibiting artists based in Central Florida. The Beaux Arts members work in a wide variety of styles and media. Their objectives are to strive for excellence and originality, explore various media and techniques, and contribute a personal and fresh approach to the diversity of today’s art. Orlando Museum of Art 1st Thursday Show 'Florida Grown' - 04/05/18. The 1st Thursdays @ Orlando Museum of Art Shows are always fun and high energy. I made some new friends at the show, Charles Lounsberry, Glen Anthony, and Colleen Ardaman. Had lots of fun being silly with Denise Fix, and I almost got on the dance floor with Vickie Wilson Wilson. Thanks Ev Niewoehner for driving us all the way from Daytona and back. Thanks Jeff Shonkwiler for putting on another wonderful ArtistsRegistry Art-Organization members show. 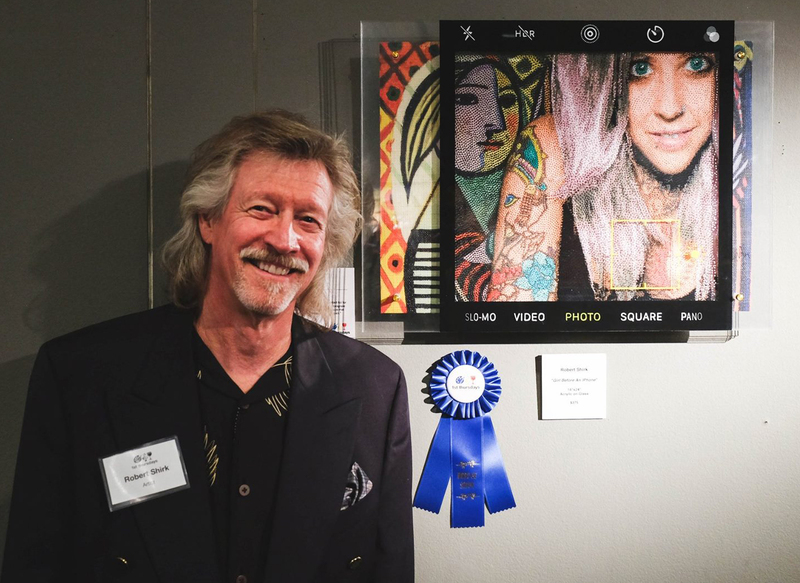 Congratulations to Charles Lounsberry for winning Best in Show. My painting 'Paradise Tami' had lots of interest. 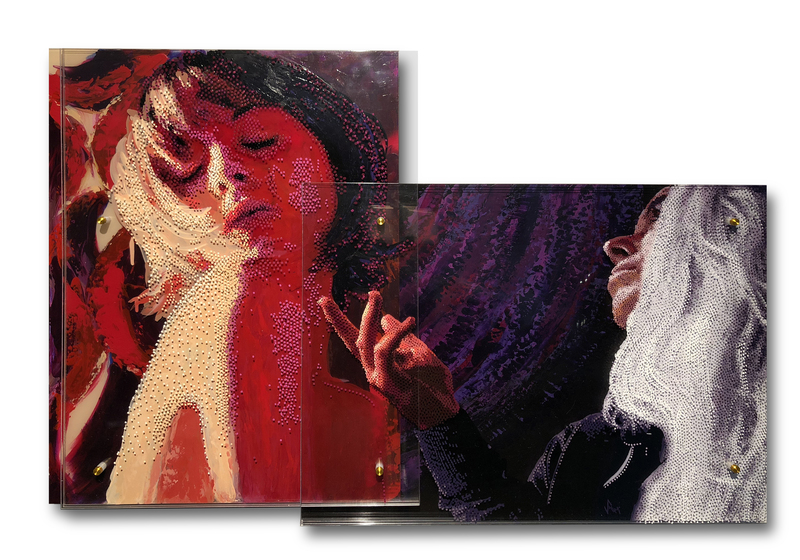 Everybody always wants to see how my paintings are put together, and how I create the 3D kinetic effect. Art show visitor enjoying my painting 'Paradise Tami'. Portrait of Fernanda Ly - 04/04/18. I just finished this short 30 second video of my portrait of Australian model Fernanda Ly. It was done in May 2017 with acrylic paint on 4 pieces of 18"X24" plexiglass, with 1 piece of Japanese Ogura Lace Paper. Fernanda Ly is an Australian model of Chinese origin, born and raised in Sydney. I was drawn to this image because of the strong design and of course, the pink hair. It gave me a chance to create a couple of layers of hair on multiple sheets of plexiglass. This is the first painting that I incorporated Japanese Chunky Kozo Paper. It's translucent with open areas that you can see through. I love the way it adds an organic feel to the painting, contrasting with the shiny plexiglass. 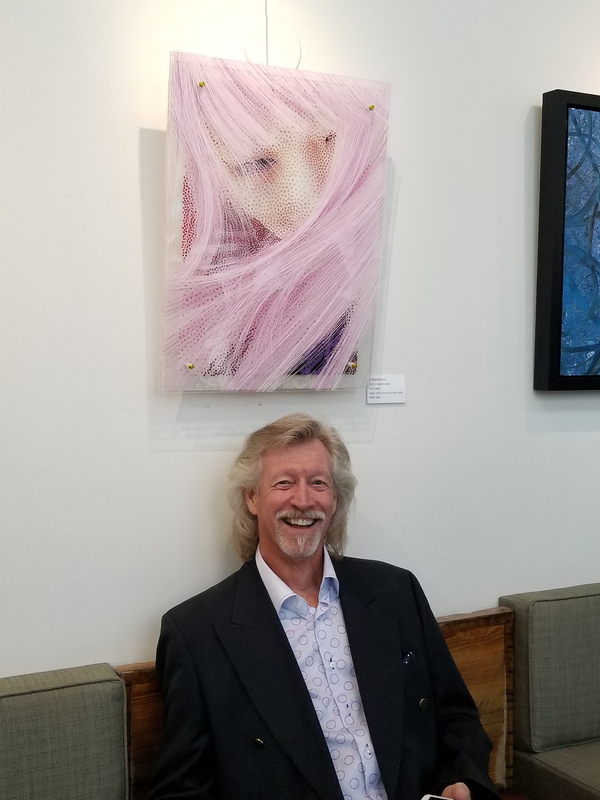 Robert Shirk & Ronda Richley Art Show. - 2/26/18 - 3/5/18. I actually hung the show twice! The first time including large works that I still had from back in the 1980's. But everything seemed way too crowded, so I only kept the very large 4 foot by 8 foot 'Lips' for its drama, perfect backdrop for selfies, and curb appeal. Ronda Richley was the perfect artist for me to choose to partner with me for my first show since coming back to painting in mid 2016. She's a very talented artist with a wealth of experience that I drew on to put this show on. Ronda's earthly 'Garden of Eden' ceramics were a nice contrast to my sleek contemporary paintings. Art show visitors enjoying my portrait of Benoit Glazer. Observer Newspaper Article - 02/27/18. 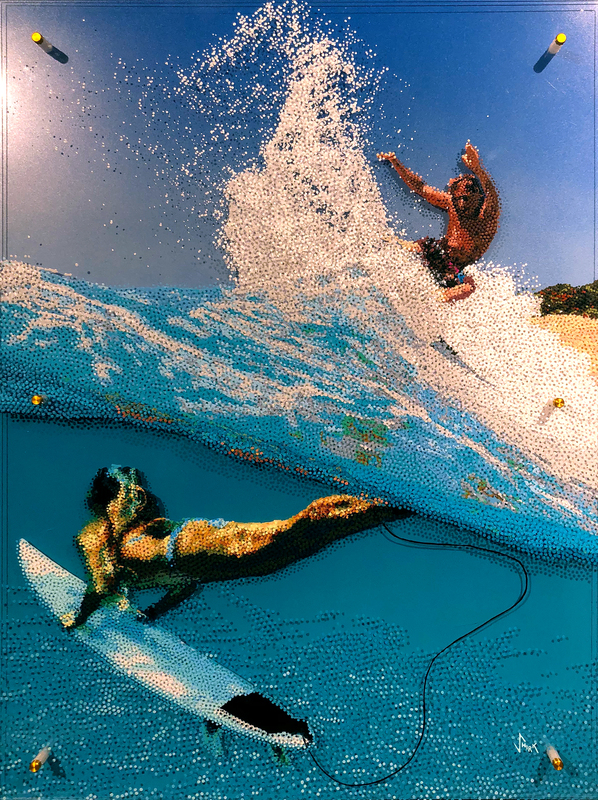 'Always experimenting': Ormond Beach artist to showcase three-dimensional work at Arts on Granada. A very nice article in the Observer about me and the Shirk/Richley Art Show. Thanks Paige Wilson. The show will include my 3 dimensional paintings and the ceramics from the Garden of Eden of Ronda Richley. The artists reception is Saturday March 3rd from 4:00 - 8:00pm at Arts on Granada, 67 W. Granada Blvd. Ormond Beach, Florida. Timucua Arts Foundation - 02/25/18. Artist on stage during a Timucua Sunday Concert. 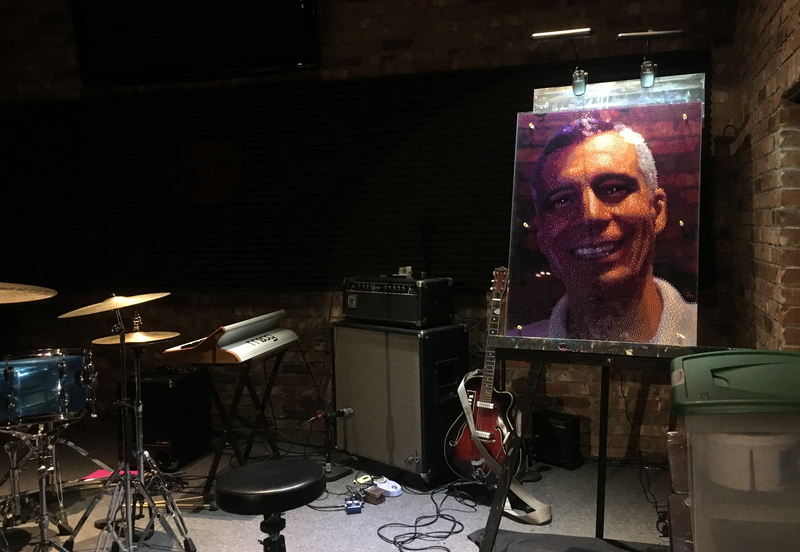 In early January 2018 I was asked by Boris Gabe, the Visual Arts Chair of the Timucua Arts Foundation to be the artist on stage during a Timucua Sunday concert. "So Mr Shirk. 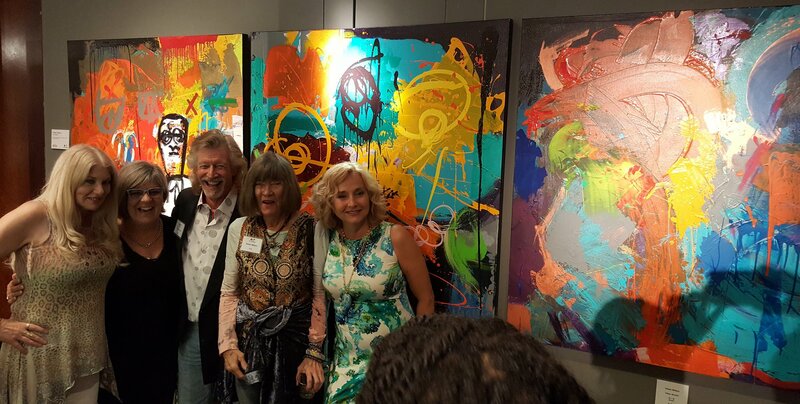 Would you like to paint live on stage at the Timucua Arts Foundation? 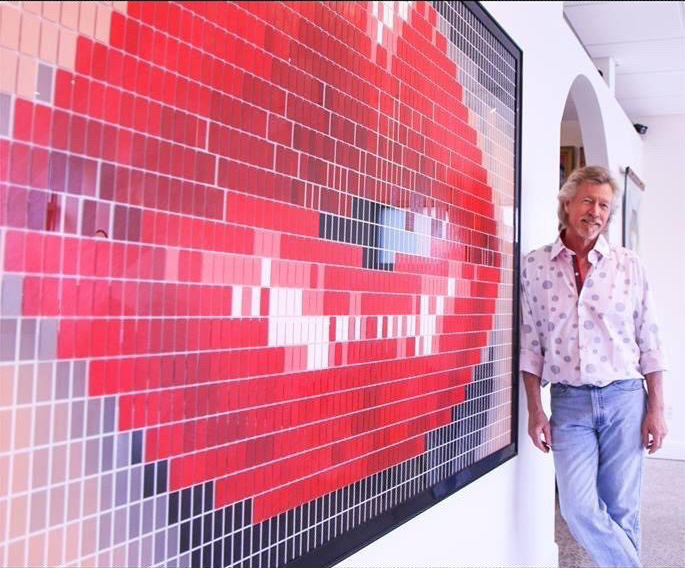 Benoit has requested a cool and sophisticated Artist to accompany Georgio Valentino on Feb 25. I thought of you immediately." 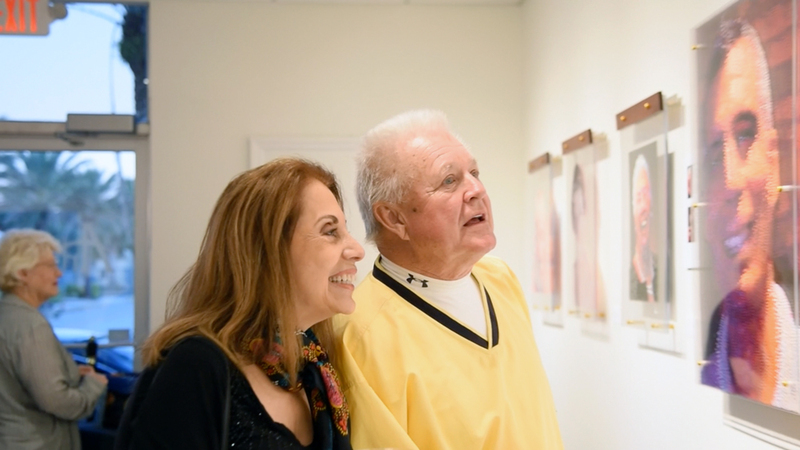 The painting is now in the permanent collection of the Timucua Arts Foundation. Central Florida Artist of the Week. - 01/14/18. Thanks you Ed Herbst, President of the Associates at Orlando Museum of Art, for naming me 'Artist of the Week'. And what a week it has been. 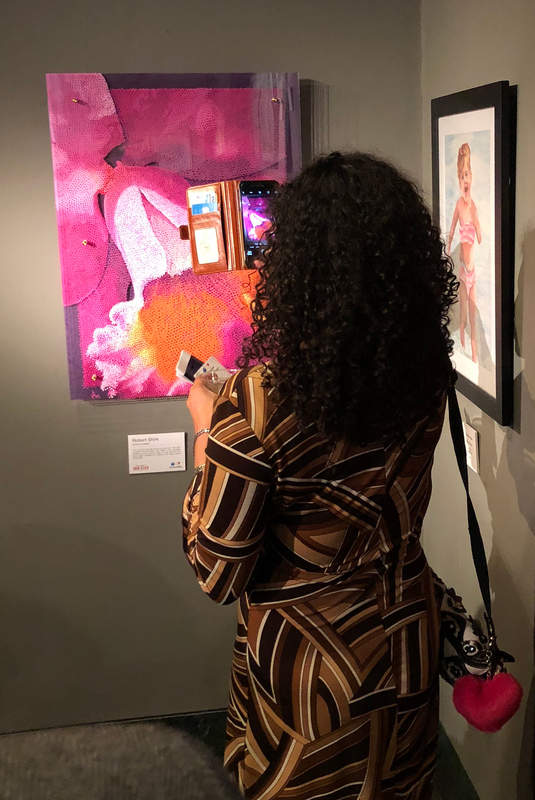 On Thursday 1/4/18 my painting ‘Girl Before An iPhone’ received ‘Best in Show’ at the 1st Thursdays ‘Art of the Selfie’ exhibition at the Orlando Museum of Art. The very next day my painting ‘Fernanda Ly’ received an award at the Saint Augustine juried exhibit ‘Faces & Figures’. 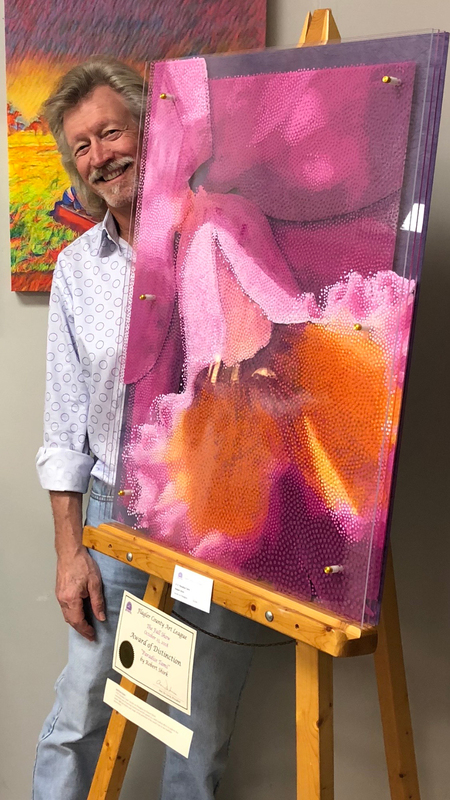 Two days later my painting ‘Paradise Tami’ received an award at the Art League of Daytona Beach juried exhibit ‘Members Showcase 2018’. A lot happened for me last week. I’m very grateful, and enjoying the ride wile it lasts. 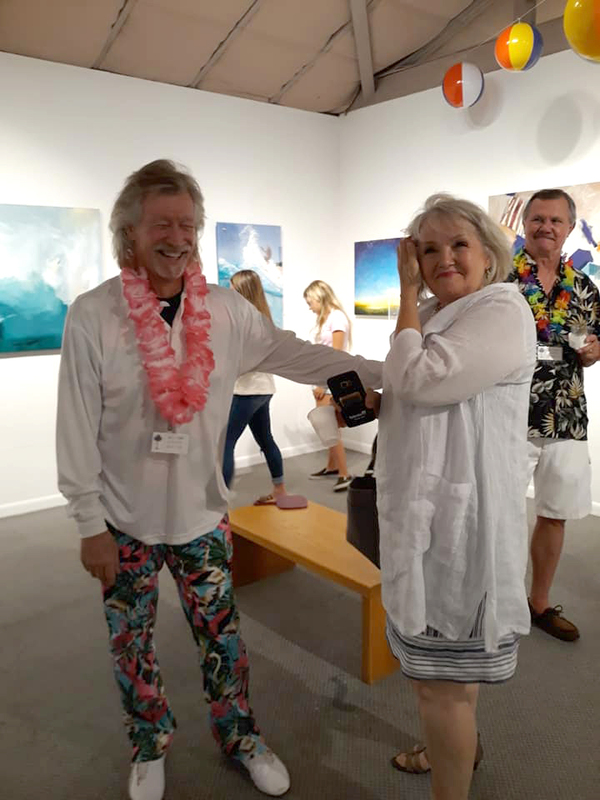 Art League of Daytona Beach Juried Exhibit "Members Showcase 2018"
The lovely Loleita and I had a delightful afternoon at The Art League Of Daytona Beach 'Members Show'. 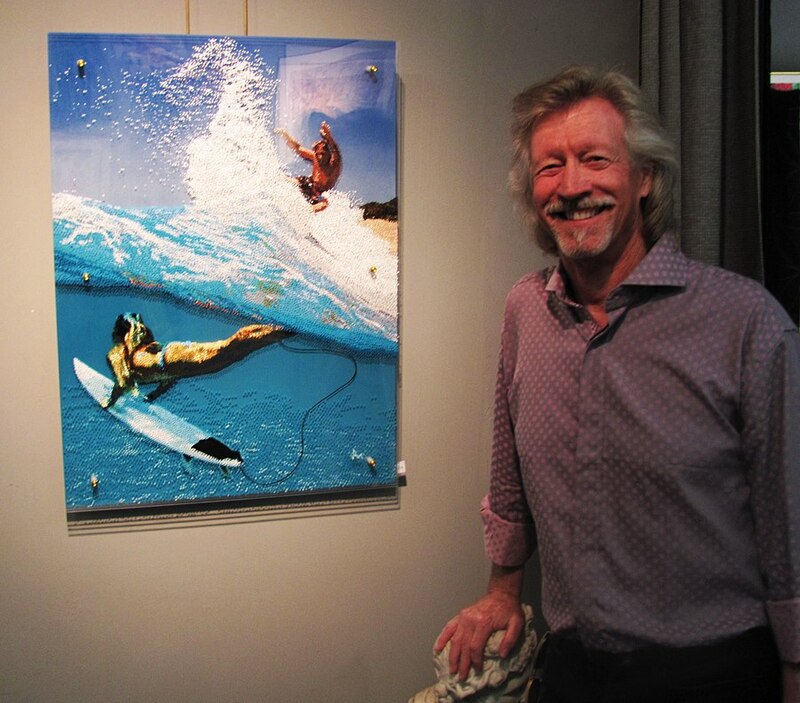 I was lucky enough to win an award for my painting 'Paradise Tami'. "The judge appreciated the intriguing layers in this work, and the play of light that creates shadows and depth within the form. The artist uses meticulous technique but also employs freedom in the flow of shapes and colors. The work is beautifully presented." Saint Augustine Art Association Juried Exhibit "Faces & Figures"
Spent some time last night at The Saint Augustine Art Association 'Faces & Figures' show. My painting 'Fernanda Ly' was one of the award winners. I just joined a few weeks ago so I didn't know anybody, but as most of you know that's not going to slow me down! Met some very very talented artists. Had a nice chat with Diane Bradley the STAAA Chair. Everyone was so warm and friendly and made me feel right at home. I'm looking forward to spending more time in Saint Augustine enjoying the work of these artists. Winner 'Best Of Show'. - 01/04/18. 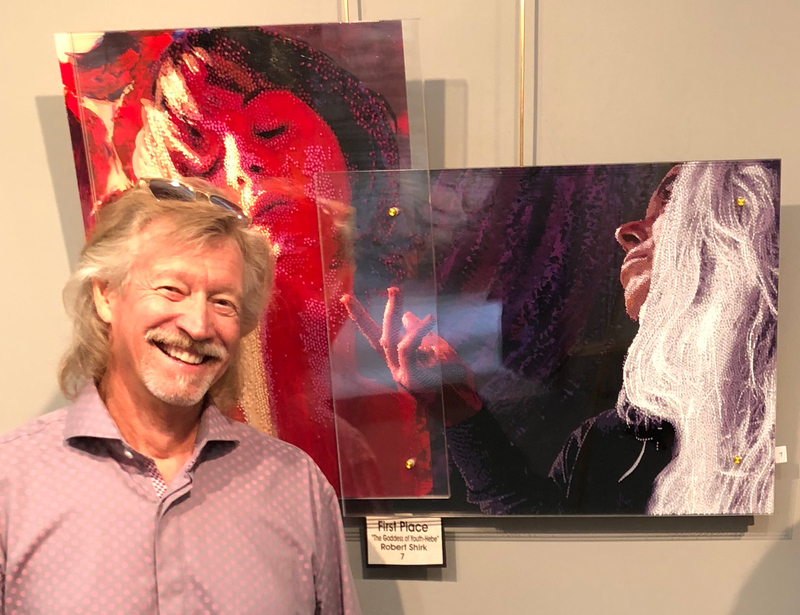 Orlando Museum of Art Juried Exhibit "The Art Of The Selfie"
What an honor to receive the 'Best of Show' award in the Orlando Museum of Art Juried Exhibition "The art of the selfie". It was a glorious evening at the Orlando Museum of Art. The lovely Loleita and I spent a cold evening with some of my very warm and talented Orlando friends. Thanks for all the support and encouragement you have given me Lillian Verkins, Lisa Lisa Serendipity, Ronda Richley, Vickie Wilson Wilson, and Linda Saracino. Also had a popup visit from an old and dear friend Ken Anderson and his lovely wife Lan. Great to see Jeff Shonkwiler again and hope to share more of these monthly events with him in the future. Also got to spend some time with Orlando artist Josiane Barthe Pinkcombe and her fun husband. I also want to thank Peter A Cerreta for the input he gave me when I was creating this painting. Peter, I really appreciate your direct and laser focused critique. It helped a lot.